To facilitate your quest to find the right app, here are the three categories I frequently consider when evaluating apps: complexity, effectiveness, and communication. With the much-awaited movie directed by none other than Steven Spielberg himself arriving on March 20, Ready Player One has held the anticipation of many enthusiasts. In this edition of App Comparison, Forest: Stay Focused and The Fabulous, two very distinct apps with the same goal of improving productivity, will be compared. As an international student new to Korea, last month’s long Chuseok was a good opportunity for me to escape from what was beginning to feel like a pretty repetitive and hectic freshman life here at KAIST. 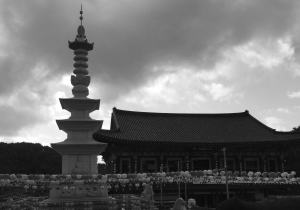 I want to take every chance to experience different aspects of Korean culture. Hence, I booked a couple of nights for myself through the Templestay program. AfreecaTV, a famous live streaming site, is facing large controversy surrounding power abuse issues.